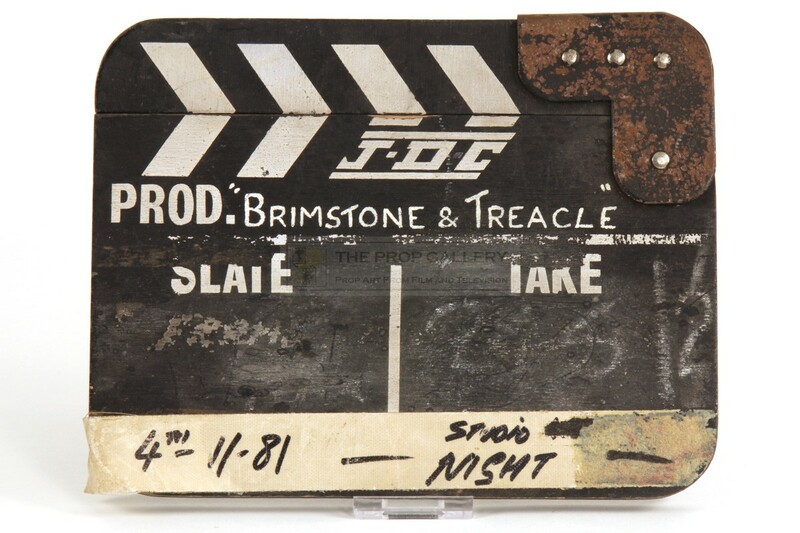 An original clapperboard used in the production of Brimstone and Treacle, the 1982 film adaptation starring Denholm Elliot and Sting. 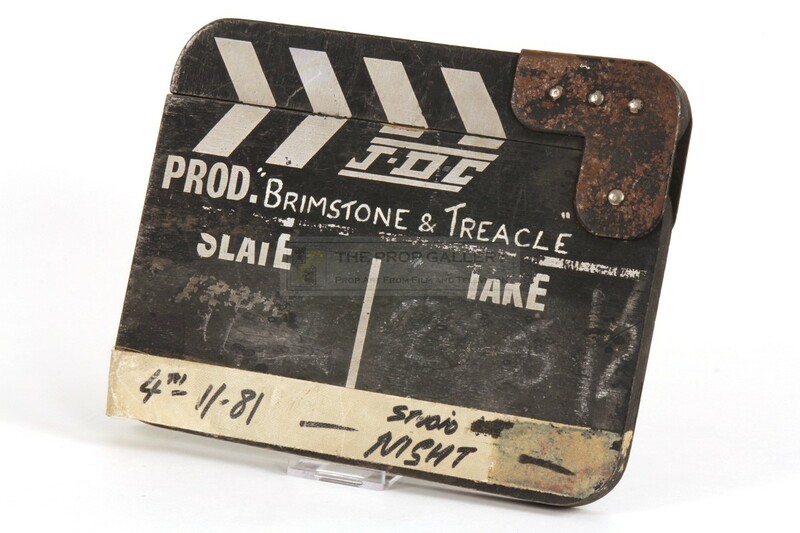 This J.D.C branded traditional style board with affixed clap stick features the movie title 'BRIMSTONE & TREACLE' hand painted to the top with space for slate and take numbers below. the clapperboard retains a tape from its last use during the production which is hand inscribed with the date '4TH-11-81' and 'STUDIO NIGHT' in black marker. 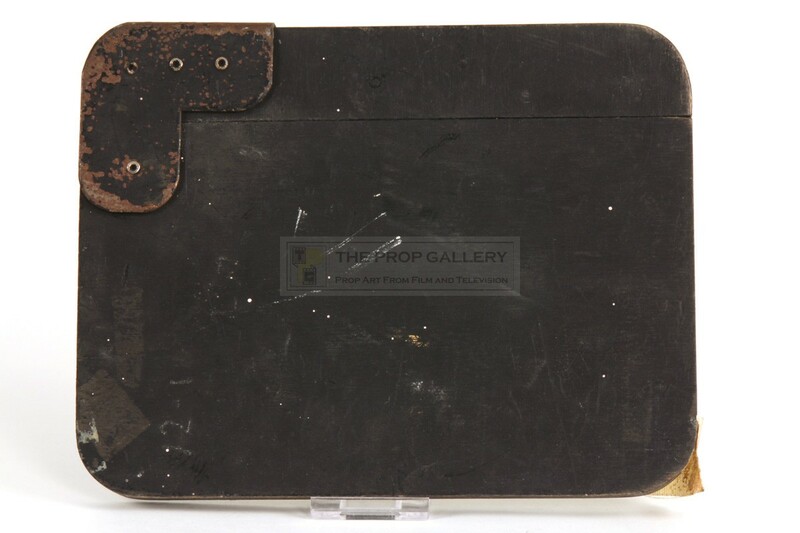 This small insert clapperboard measures approximately 8" x 6.25" and remains in good vintage production used condition with some paint loss and rusting to the hinge. A rare and displayable artefact from this well received adaptation.